A timeline of events that occurred through the course of the Great Depression and World War 2 written based on the home front (Canada). I chose to create a family of that time and follow them through the span of the twenty years. The family has varied backgrounds and connections which allow the characters to be impacted by the majority of events taking place during the 30's and 40's. The story is written in the form of excerpts from a girl's journal, which talks about the key events that occurred during the time of hardship. The Benedikt Family is a German family living in Canada with two boys (Conrad and Christof) and one daughter (Evelyn). The mother is a Japanese Canadian (Aina) that married a German. 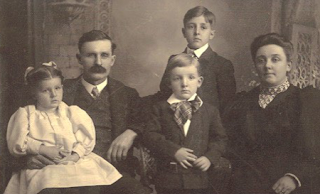 They family is well settled in the 1920’s and are blessed with success and prosperity. Also, the father (Alekzander) has a younger brother who is a businessman in Germany, his brother Gustaf visits Canada once every two years. Both brothers grew up in Canada and hold strong ties with Canada, especially Alekzander who fought for Canada in WW1. This family experiences the Great Depression and WW2 in extreme measures. Raised in Canada, moved to Germany in 1926, lives in Germany since. Many people worldwide had invested money in stocks, and until late 1920’s, it seemed like the success would never end. 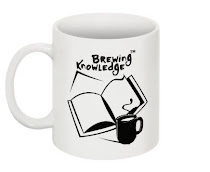 The stocks were constantly raising in value after the period of great economic return in the roaring 20’s, though many stockbrokers and businessmen sold their stocks just prior to the crash as they learnt that the stock were overvalued and gained money. However, Canadians that had bought the stocks and were unable to sell on time lost substantial amount of money. This catastrophe led to unpaid loans, banks unable to recover depositor's money, companies having to shut down or make drastic changes in production and human resources (jobs), low incomes and unemployment. The occurrence of the Stock Market Crash was the trigger to the Great Depression, the worst economic turmoil in history. Today at school I heard all the teachers talking about this “Wall Street Crash,” I thought there was a very big accident. During the lunch break I ask Christof about this crash and he too had no knowledge on the crash, hence we decided to speak to Mom and Daddy later in the evening. After Christof, Conrad and I returned home, I began working on my homework while listening to the radio playing the music of Beethoven. Upon the completion of my homework, I began playing the piano, while the house was full with the sound of the piano, Daddy walked in the front door. He seemed very frustrated. Soon dinner was ready, Christof, Conrad and I filed into the dinning from the living room. Daddy started talking about the Wall Street Crash to Mom, I interrupted to ask about the crash, and asked if everyone was alright. Daddy replied by saying that the Wall Street Crash wasn’t a car accident, but the crash of the Stock Market. Daddy worked in the stock market, he was a stock broker, though I didn't understand what he meant. I questioned him as to what the crash meant, he said that because of the crash, many people lost a lot of money and were going to be very poor. He seemed very sad, I had another question, “Daddy, are we going to be very poor?” He didn't respond. We all finished our meal in silence. Later in the evening, I was once again listening the radio with Christof and Conrad when we overheard Mom and Dad talking about the crash. This time I didn't dare to interrupt. Daddy explained to Mom, “Don’t worry about this Aina, I sold most of our stocks before the value dropped, and we also have our savings. We are going to be fine this won’t last forever, trust me.” Daddy said he had lost his job, I could hear my mother sulk, but I knew that Daddy would make everything right, he always does. In early April 1935, unemployment relief camp workers went on strike due to the frustration and anger caused by the poor conditions at the camps. These camps were very isolated, usually consisting of single men who were recruited to do difficult, menial work for a small pay (20 cents/per day). However, these camps provided men with food, shelter and money. Also, these government relief camps helped increase employment rates in Canada. The strikers from the camp had three major demands for Prime Minister Bennett; higher wages (50 cents/per hour and standard or equal working hours), a system of social and employment insurance and the guaranteed right to vote for all workers. The strikers travelled by freight trains from all over the nation to participate in the strike, though the strike was hindered due to the Royal Canadian Mounted Police (RCMP). However it led to the Regina Riot on July 1, 1935, which was a violent clash of protesters and the RCMP. The effort to change employment conditions in Relief Camps was not responded to immediately by government leaders like Prime Minister Bennett and others in his cabinet, however many of the demands were eventually met by strike leaders taking government responsibilities and other political parties. We had moved into a smaller home three years ago, sold the car, most of the furniture and some of mom’s jewelry and still didn’t have enough for Conrad, Christof and I to go to school and live the way we used to, and nothing was the same anymore. Daddy didn't let me sell the piano, he said it was one of the only beautiful things left in this depression. Conrad returned home today, for the past year he had been working at the government relief camps to earn enough money to survive and be able to continue his education. He loved learning from when we were all very little, though he was unable to follow his dreams of becoming an engineering after high school because Mom and Daddy couldn’t afford for us to attend school anymore. Upon his arrival we learnt that he had taken the freight train to Ottawa to protest against the poor working and living conditions for the low wage of 20 cents a day. Mom was furious at first, then she hugged him for hours. Conrad said grace tonight, at the dinner table he thanked God for what He has given us and prayed for better times. I really hope our prayers are answered. Later in the evening, Christof and I spent some time with Conrad after he had bathed. He spoke about the terrible experience at the camps, he said he would never go back there. Ever. He even made Christof promise to never go to the camps. Then he told us about his involvement in the Regina Riot, I was very scared. I am glad he didn’t tell mom as I remember her reaction to the riot when we heard about it on the radio few days ago. Conrad looked as though he had lost a lot of weight and he had scars and bruises all over him. He had changed tremendously, his eyes showed his pain when his words tried to hide it. I really worry for him…and for all of us. I know Daddy said this wouldn’t last forever, but it sure as hell felt like it was going to. Entertainment like the “Talkies” which were cheap movies that allowed people to break free from the hardships of the Great Depression, this is called escapism. “Talkies” were the sound films that incorporated synchronized dialogue which meant they were "talking pictures.” Talkies began in the late 1920’s though became widespread through the 1930’s due to the Great Depression. Famous movies of the time include Wizard of Oz, Gone with the Wind, King Kong and Snow White and Seven Dwarfs. Also these movies brought forth stars like Judy Garland, Clark Gable, Shirley Temple and Will Rogers. The 1930’s was known to be “The Golden Age of Hollywood” because of the revolution of sound and colour films and the development of new genres like gangster films, musicals, historical information and comedies. The movie Wizard of Oz (1939) was an adaption of the book by Frank Baum in 1900. It was recognized for the use of Technicolor, and being a musical fantasy. Everything seemed to be getting better, our family was together, Dad and Conrad were working at Ford, Christof was growing up just like Dad and I was a pianist in the local Cafe of Elites. I found a friend in movies, I loved the talkies, Friday nights became “Movie Nights” and awaited family time. The first movie I watched was King Kong in 1933, then I went on to watching movies like Snow White and the Seven Dwarfs, I remember my excitement waiting in the line for this movie. During the Depression many people including me enjoyed the productions of the film industry, it was just the fun, excitement and thrill in watching these films that brought the slightest joy in the time of hardships. Christof and I shared this passion for the talkies. Whenever we took Mom, Dad and Conrad to watch a movie it felt like everything was beautiful again, it gave us hope for the time that this Depression would be over, it would be over soon. Tonight I went to watch The Wizard of Oz with Christof and our friends, I had read the book and much-awaited the film. 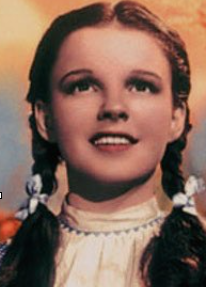 Christof went to watch the beauty Judy Garland playing the role of Dorothy, celebrities like her were living the dream. I love musicals, therefore I was really looking forward to the songs in this movie. The movie was lovely, I enjoyed it completely. As we walked back home Christof spoke immensely of Judy Garland, BOYS! It is always a great time going to watch the talkies, in fact we have planned to watch Gone With the Wind which releases in a few months. The Japanese attack on Pearl Harbour, the American Naval base in Hawaii on December 7, 1941 led to suspicion and cruelty towards Japanese Canadians. The Royal Canadian Mounted Police arrested many Japanese in British Columbia and sent them to internment camps. These arrests were made legal under War Measures Act because of the belief that any Japanese person may be disloyal, try to sabotage Canada or be a Japanese spy. Japanese Canadians were evacuated from their homes in a rush, the Canadian Government had moved almost 23000 Japanese into internment camps, many of which were born in Canada by the end of the war. The Internment Camps had poor living conditions; few and scanty meals, menial labour and unhygienic practices. 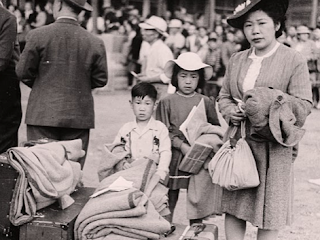 Meanwhile the government had confiscated and sold Japanese properties at government actions, hence after being liberated from the camps after the end of World War Two (between 1947 -1949), many Japanese Canadians were homeless and decided to move back to Japan. Japanese Canadians in Internment camps was largest exodus in Canadian history. For the past few weeks Mom had been really worried about her Brother, because after the Japanese Pearl Harbour attack, the Canadian government has mistreated the Japanese Canadians and many have been taken to internment camps. She was not keeping well, she was very paranoid and lost her appetite. I really hoped Oji (Japanese for uncle) is out of harm’s way. Mom sent a letter to her brother in British Columbia two weeks ago, we received his reply today. In his letter he mentioned that he has not been taken to the internment camps though he is being treated ruthlessly, in fact he was fired from his job the day after the Pearl Harbour attack. Also he had heard about the poor living conditions in the camps and the difficult and menial labour young men were forced to do. Many families were separated to different camps and forced to live in the overcrowded areas. This really worried mom, because growing up in British Columbia she knew that most of the Japanese were Canadian citizens or born in Canada and couldn’t believe that Canadians would treat their own people with such hatred. She was disgusted by the government and their actions, I was too. Mom wrote back to Oji asking him to come stay with us because they had no other family in Canada. Oji and Mom had a very close relationship like Christof and I do. I know she won’t let any harm upon Oji. Daddy might be going to Vancouver to bring Oji here, he isn’t safe there anymore. Hence, mom is setting up the house for Oji to be a part of our home. D-Day is when all military operations begin, specifically the allies attack on the German defence on Normandy beaches on June 6, 1944. D-Day Normandy was known as Operation Overload. The objective of Operation Overload was to defeat German defence along Normandy Beach to regain France. The battle involved air and sea bombardments as well as artillery from the Germans on land. 30,000 Canadians from the third division were the first wave of soldiers on Juno beach. The Canadians were well prepared and destroyed the defending German division. Almost a thousand Canadian soldiers were killed, wounded or captured however the Canadians pushed to within 5 kilometres of Caen (furthest in land than any other ally). This battle stretched the German army as they were now fighting three land wars. It was a major success and the Canadians played a tremendous role in Operation D-Day. I am 24 today. It is a day to celebrate, but I don’t feel like celebrating. Everyone is dying, World War Two got Canada out of the Depression but led its people to become murders. If Christof was here, he sure as hell would have celebrated this day with me, but he isn’t. Instead he is out in Europe fighting for Canada, just like Dad did. I received his letter and gift last night. Christof’s gift was of a picture of him and I before we watched Gone with the Wind. It was the last memory of ours before his departure for war. I cried while I gazed upon the photo and while reading his letter. He began by praising himself, typical Christof, he spoke of his bravery and courage at the battle of Normandy (D-day) in which the Canadians had regained land on France and placed Germany in three land wars. In his letter he mentioned that the war is almost done and that he is happy that he is going to be home soon, I really wanted to believe that was true. I still can’t believe that it has been three years since he left. In his letters to Mom and Dad he makes sure to be very careful and cautious with the words he writes, as for the letters for Conrad and I he shares the most painful experiences. I made him promise he wouldn’t hide anything, despite how gruesome and cruel it may become. In his previous letters he often wrote about feeling seasick, watching his friends die and the worst, taking someones life. He said he wanted to be a hero when he left, in his letters he said he felt like the villain. Just like when Conrad returned from the relief camps, I could feel the pain in his words. Everyday I spend craving to see him again, everyone in the family has taken a role in helping the war effort, I really hope Christof’s letter proves truthful, I hope that this is our last investment in the bloodshed. The Holocaust was the mass destruction or the extermination of mainly European Jews by the Nazis in World War Two. Adolf Hitler was the brutal dictator who led Germany to World War Two. He had three main aims including the abolishment of the Treaty of Versailles because it humiliated Germany and impaired its success, to expand the German Empire, which he called the Third Reich in Eastern Europe and to defeat communism and to put an end to the Jewish population as he blamed communism and the Jewish race for the German failure. He wrote his plan for the persecution of the Jews while he was in prison in a book called Mein Kamph (My Struggle). The Holocaust began in 1933 and ended in 1945. The Germans were introduced to Jewish hatred in three stages; education with propaganda and speeches, segregation by creating Ghettos and laws against Jews and lastly extermination. In 1938 Kristallnacht was the night of broken glass in which Jewish businesses were looted and destroyed in Germany before Jews were sent to concentration camps and live in poor conditions and do difficult and menial work. In 1939 Jews in Germany were forced to live in Ghettos while Germany invaded Poland and began their attack on Jews in Poland. Soon after the Wannsee Conference in 1942, Jews were deported to extermination camps like Auschwitz where Jews were murdered using poisonous gas. This cruelty towards the Jews continued. until Hitler’s suicide and the end of World War Two when the allies liberated the survivors from the concentration or death camps all over Eastern Europe. Since I was six years old, Uncle Gustaf has been living in Germany, first as a very successful businessman, then as a loving husband, and now as a saviour of hundreds of Jews in Germany. Uncle Gustaf and his wife arrived in Canada today, though all through the war and holocaust he resided in Germany. I remember when we were little, Christof and I would fight over whom it is Uncle Gustaf loved more, I am overjoyed that Uncle Gustaf has returned. On the way to the airport, Christof and I had the same argument we had when we were five, it felt just right. Dad had spoken to Uncle Gustaf on rare occasions only through the past few years because frequent conversations may have raised suspicion towards Dad and our family. Though now that Uncle Gustaf was home, Conrad, Christof and I spent hours speaking to him about his hardships. He told us that he hired nine hundred Jews to work for his business, this saved these families from the disposal of the deathly Nazi hands. Many of the family members of the Jews working for him shared their stories with Uncle Gustaf, the experiences were horrific, gruesome and cruel. They would tell Uncle Gustaf about the concentration and death camps designed as the final solution for the Jewish people. He said the struggle of these people was not comprehendible. Uncle swallowed his tears as he spoke of the beatings and executions in public, he said he felt helpless and inhuman, he spoke of the Nazis with utter disgust. I could not fathom the pain of the Jews, I was very proud of my Uncle and the courage with which he saved the Jews though he expressed the fear by which they lived each day. The last thing he could say was that the massacre of the Jews cannot be put in numbers, they were people, they were the poets of tomorrow or the engineers of the future, but they were gone. Today I realized that the existence of races is a man made idea, in fact the only race that truly exists is the human race and for one to discriminate against a group of individuals is hate upon its own race. Udita Gangwani wrote this short story in 2015 at the time she was 15 years old. Born in India, lived in New Zealand and now residing in Canada, Udita is now 16 years old. Through these changes, her perspective has widened as a result of numerous encounters with various individuals. The characters in the story embody both herself and the world around her. 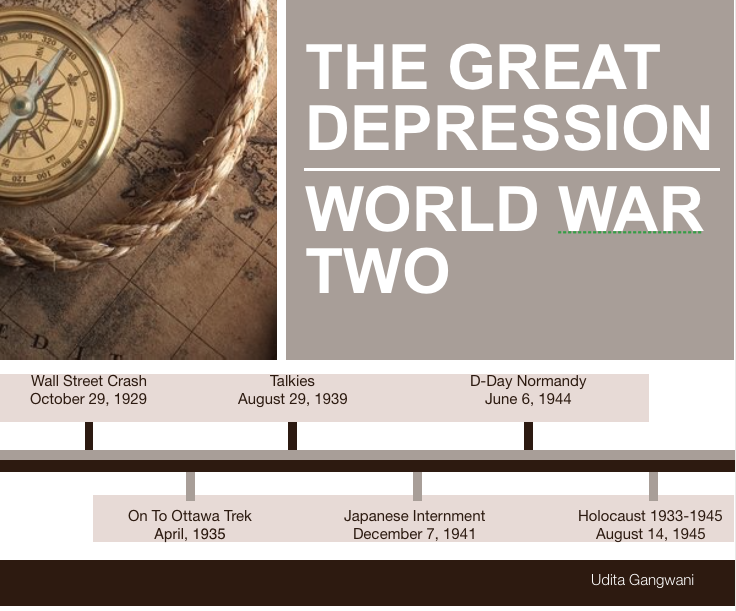 This is part of Udita's Grade 10 History Assignment.